There are winners and losers with us every week, but this time we have an unusual guest on the losers side: Artificial Intelligence. Because this week, it wasn't particularly clever. Meanwhile, Samsung has done everything right. The Galaxy J-series is dead, long live the Galaxy A! According to this motto, Samsung is changing its product range and pushing smartphones with the J badge into the bin. But it doesn't matter, because with the new Galaxy-A models, Samsung seems to be doing quite a bit right. The cleverest idea is certainly the camera in the top model Galaxy A80. It can be rotated to serve as a normal camera and for selfies. It's a beautiful idea and also well implemented. 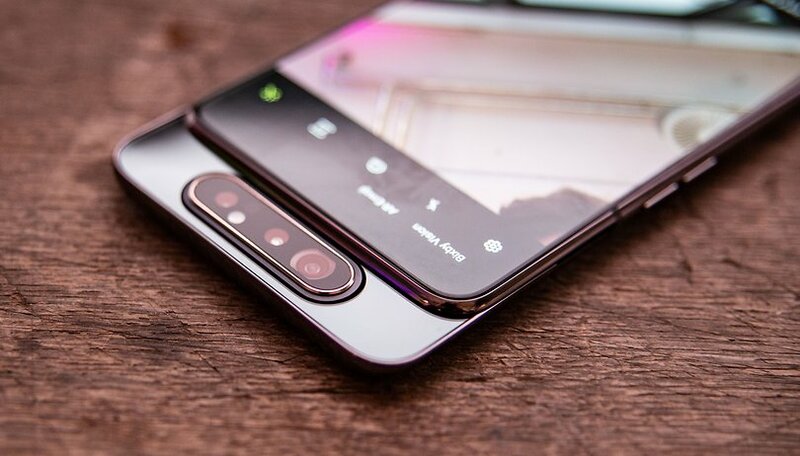 The new mechanism also means that Samsung can continue to maintain his allergy to a notch in the display, because the Galaxy A80 consists almost entirely of display. Good work, Samsung! The machines are getting smarter and smarter. Soon, computers will replace us and they already are! Many people actually have this fear. But this week it became apparent once again that artificial intelligence is not omniscient after all, at least not yet. Google's DeepMind, of all AIs, failed spectacularly during its maths homework. A simple high school test was too much for the AI, which has already beaten the best e-sports pros and defeated people in the board game Go. You can read about it here. Well, dear AI, that was probably nothing. Sit down. I'm a bit sad about the Samsung change because to the best of my knowledge, the A line don't have swappable batteries and the J7 Duo released in 2018 did.